Internet Search: Why is it important to choose the right words when you search online? I'll know I've got it when I can identify the most effective keywords for a given search. What kinds of things have you searched for on the Internet? What frustrates you when you are searching online? Why is it important to choose the right words when you search online? Watch the BrainPop Video below. Look for three important search skills in the video.
" " Search for an exact word or phrase ("Mars chocolate bar"
Discuss with a partner: What are three important search skills from the video? Click on the BrainPop Quiz and choose the Review Quiz. Make sure to review your results at the end. Make your keywords as precise as possible. If you're looking for information on Tyrannosaurus rex, don't type in "dinosaurs." You'll get too much general information about dinosaurs and not enough specific hits about T-rex. Use two or more keywords in your search, but put the most important keywords first. For example, if you wanted information about what the T-rex ate, you might use the following keywords in this order: Tyrannosaurus Rex diet. Always try more than one search engine. Different search engines will usually come up with different results. Use Ctrl+F to search for text on a page. 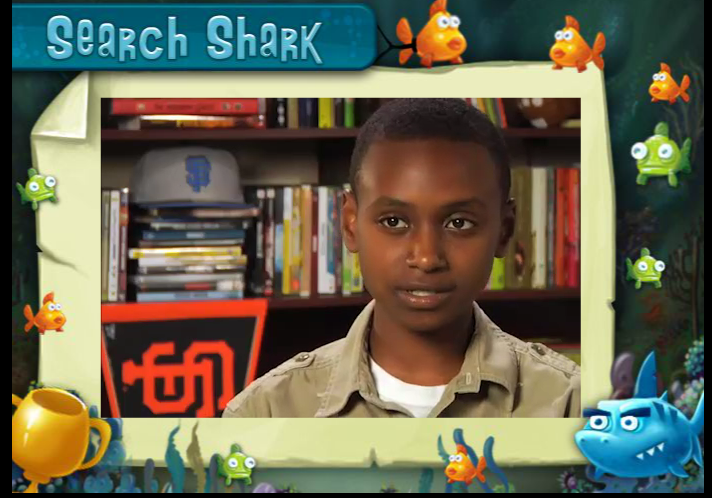 Watch the Search Shark video below and play Search Shark to practice selecting keywords. Work in a group to select keywords to search for information. One person in your group will need to log into their Google Drive. Open the document in your 5th Grade Activities Folder entitled "Research Skills - Keywords"
Record the keywords used and the answers to the questions. Share your file with Mrs. Miller by dragging it to the folder with your name on it. (2014). The Key to Keywords (3-5) | Common Sense Media. Retrieved March 26, 2015, from https://www.commonsensemedia.org/educators/lesson/the-key-to-keywords-3-5. (2008). BrainPOP | English | Learn about Internet Search. 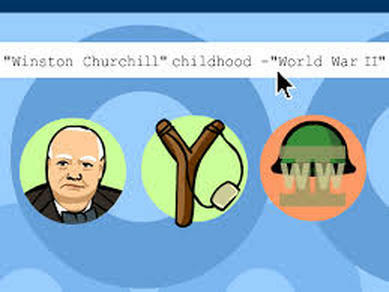 Retrieved March 26, 2015, from https://www.brainpop.com/english/studyandreadingskills/internetsearch/. (2005). Homework Center: Finding Information on the Internet ... Retrieved March 26, 2015, from http://www.infoplease.com/homework/u2searchengines.html.